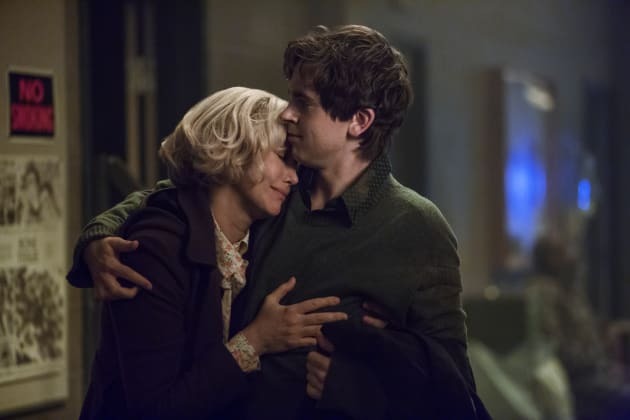 Norma goes on a search for Norman on the season premiere of Bates Motel. "A Danger to Himself and Others" is the first episode of the show's fourth season. 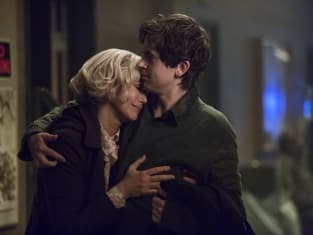 Bates Motel Season 4 Episode 1: "A Danger to Himself and Others"
Audrey: You really are nice, aren't you? Norma: Emma told you that the one time you ran into her in the village? Permalink: Emma told you that the one time you ran into her in the village? Norma: I need you to get him out. Alex: Norma, I'm not magical. Permalink: Norma, I'm not magical.